An SSL certificate is used is to encrypt your sensitive information and that of your visitors when sent across the Internet. It is important to understand that information you send on the Internet is passed from computer to the destination server, and that any computer in between you and the server can see your usernames, credit card numbers, and passwords. When you have an SSL certificate and a green padlock on your website, the information becomes unreadable to everyone except for the receiving server you are sending the information to, hence protecting you from hackers and identity thieves. In addition to encryption, an SSL certificate also provides authentication, so you can be sure that you are sending information to the correct server and not a website trying to steal your information. This is vitally important because the nature of the Internet means that your customers can often be sending information through several computers, any of which could pretend to be your website and trick them into sending more personal information. 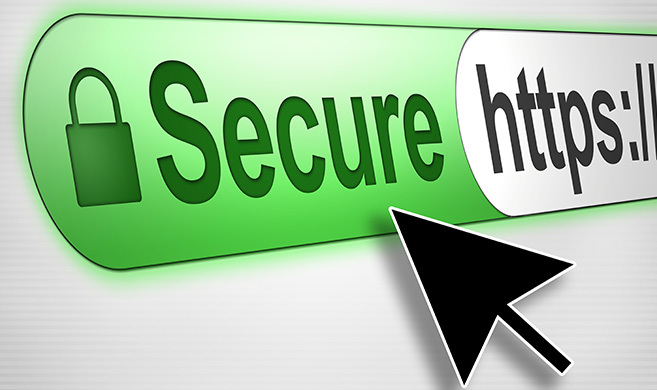 By using a Public Key Infrastructure (PKI) and getting an SSL certificate, you can display HTTPS at the start of your domain name and use the green padlock system as proof of this. 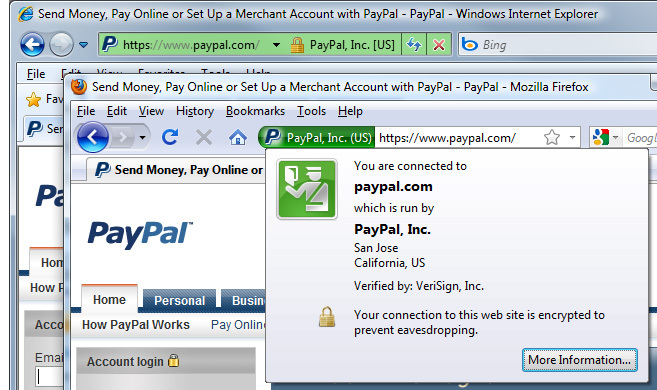 SSL certification allows web browsers to give visual cues, such as a green padlock symbol, to make sure your visitors know that their connection is secured. This visual symbol is recognised by all users as a safe security area, meaning they will trust your website more when they see the SSL certificate and green padlock. HTTPS can also help protect against phishing attacks, when an email is sent by a criminal trying to impersonate your website using a man-in-the-middle attack. As it is very difficult for criminals to obtain a proper SSL certificate on a valid domain name, they won't be able to perfectly impersonate your website. All online shopping websites, online merchants and E commerce websites must now carry an SSL encryption certificate, with a green padlock to ensure that visitors who checkout online are using a safe and secure area in which to provide their sensitive personal information. In order to accept credit card information on your website, you must comply with the Payment Card Industry standards of control. The SSL certificate provides the necessary audit to show that that your website has been checked and is properly adhering to this standard of compliance. Google have now stated their preference for websites that are HTTPS secure, and have asked for "HTTPS Everywhere" on the internet, backing compliance with Payment Card Industry Standards and the use of a secure SSL Certificate. They are now actively encouraging every website owner to make the switch by indicating that they are prepared to upgrade every HTTPS website on their Google rankings. In a more recent push from Google for all sites to be secure, Chrome now identifies users when a website is ‘not secure’. This means if you’re website does not have SSL certification, your customers will be made aware and your page will be pushed out of the rankings by those in your industry who are SSL verified. Simply Digital host all their SSL certificates on their own "Dedicated Servers", only websites coded and designed by our team are held on these servers, they offer a personal firewall for both the website files and the E mails held on them. We offer a weekly backup of all data, so any loss of data can be fully recovered swiftly and fully re-instated. Our HTTPS security will mean that visitors to your website will view this in the address bar before your domain name and alongside a green padlock. Our SSL certificates are high quality using independent third party verification to ensure your site is genuine, safe and compliant before awarding your SSL certification. E mail us for more details.